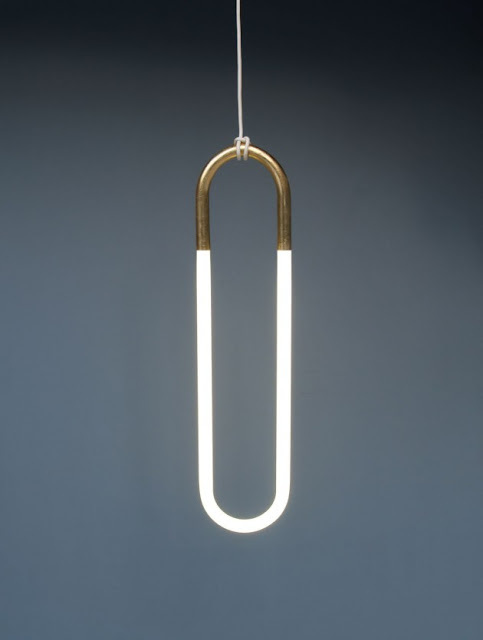 This very cool looking light fixture by Canadian designer Lukas Peet caught my attention. It has an unique architectural shape and literally hangs from its electrical cord like a piece of jewelry would hang from a necklace. No surprise since he says he is inspired by his father Rudi Peet, a Goldsmith and Jewelry designer. This contemporary and innovative pendant uses energy efficient natural sunshine and dimmable T8 fluorescent bulbs. When illuminated the color of the pale textured yellow or 24 karat gold leaf adds to its surroundings. When it finally gets on the market, I think it would look fantastic in multiple rows over a contemporary table!